Times have changed. With layoffs and cutbacks around the globe, many professionals have been forced to look for work that would generally be considered below their pay scale. In some cases they are changing careers. In other cases they are simply looking for any work in their field. No matter your reason, there will be times that you are called back for a job interview that you are overqualified for. Expect to be placed into a leadership role. Demand more money or faster promotions. Order others or poorly take orders. Leave the position in the future for a better paying job. This works against you during your job interview. If they discover you are overqualified for the role, chances are you will not get the job. One of the best ways to impress employers is to talk yourself up with facts and figures. “I saved the company four hundred billion dollars” or “I managed a staff of just over nine thousand.” You never want to pretend you do not have experiences or that you are somehow worse than you look on paper. Instead, you want to simply not mention the numbers as often. Instead of “managed staff of 9,000” you would say “I have management experience.” This allows you to continue to talk up your candidacy without letting the interviewer know the gravity of your work history. When an employer asks you questions about your work history, focus on the experiences you have that relate to the job you applied for. If the job does not require management experience, don’t mention your management experience. If the job does require that you know how to alphabetize folders, then you mention your experience alphabetizing folders. A common tactic often seen in resumes that have been edited to help qualify applicants for lower positions is to change your title. Instead of “Executive of Awesome Things” you would be “Awesome Things Lead” or some other title that downplays your role. Employ these same tactics in your interview. If you can find a good answer, try to point to a reason that you will not be leaving the job or demanding more salary. For example, if you are an executive that is applying to something more entry level, you can say something along the lines of “I fully appreciated my experience as executive of TechManagement. Yet throughout my career my favorite job was when I was working as marketing support staff. I have had my chance to be in the limelight and I am ready to change to a career that makes me truly happy.” This type of answer should ease some doubts about your candidacy. One risk you may want to take, especially if the interview appears to be going south due to your over-qualifications, is to answer the salary question early. Most employers choose to ask questions about salary early on, and in general it is recommended that you avoid answering them until the end. 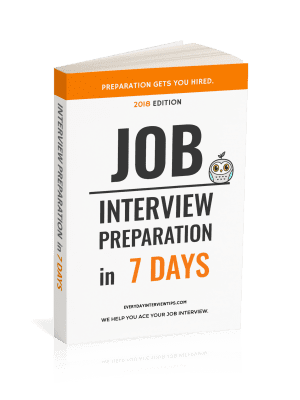 However, if you notice that you appear to be slipping in the interview as employers doubt your willingness to work for less income, ease their concerns by asking for a perfectly reasonable salary for the job. It is hard enough finding a job in today’s economy. Finding out that you cannot get a job because you are too good for the role makes it even worse. 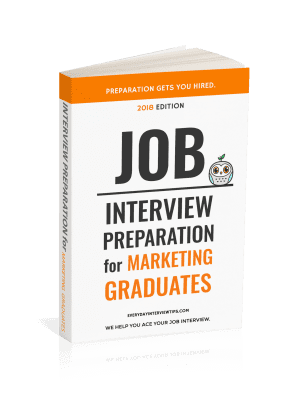 Follow the tips above in order to improve your job interview chances and do not get discouraged – your qualifications may make it hard for the company to hire you, but you are far more likely to find other companies interested in your services in the future. Focus on the experiences related to the job requirements. Downplay your roles without downplaying your competency. Share reasons with the interviewer why this lesser job is more to your liking.